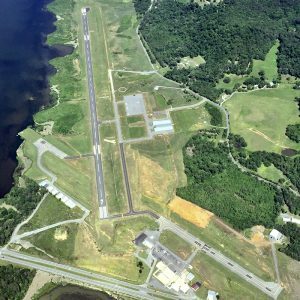 The Guntersville Municipal Airport – Joe Starnes Field (8A1) is located just 3 miles north of the City of Guntersville just off Highway 431 at 405 Buck Island Road. The airport has a paved 5,005 runway, with GPS RNAV approaches to both runways (7/25), as well as a 5500′ x 200′ Seaplane runway and Dock Area (6W/24W) located just north of the airport. The airport office is located at the north east corner “T” hangars located on the eastern side of the airport. EAA Chapter 683 (Experimental Aircraft Association) & the CAP (Civil Air Patrol) meet in the Aviation Center regularly and the Aviation Center is the home of the very popular “2nd Saturday” EAA 683 Breakfast where our local youth and support groups serve a full hot breakfast. Fueling – both 100 low lead (self-service) and Jet A (full service, please call ahead if you need services after hours or weekends), ramp tie-downs, T-hangars, ground leases for corporate hangars are available, and we have a courtesy car for those flying in for a wonderful meal or visiting our dozens of wonderful shops in our Downtown Area. Rental Vehicles and Limo Services are available from our local merchants. Parking: Free parking for Airport guest and customers, limited space available. Mon - Sat: 8 a.m.- 5 p.m.